After a grand jury acquitted George Zimmerman in the shooting death of Trayvon Martin in July 2013, Patrisse Cullors, Alicia Garza, and Opal Tometi created #BlackLivesMatter to start a broader conversation about racism in the U.S. Interested in Black Lives Matter? Add Black Lives Matter as an interest to stay up to date on the latest Black Lives Matter news, video, and analysis from ABC News. Five years later, issues brought to the national fore by the grassroots organization have become staples of progressive platforms – from #BlackLivesMatter to Parkland to #AbolishIce, there is a direct through line to calls to hold government accountable for gun violence and the treatment of minority communities, political experts say. Much of that influence has been in shifting conversations on race and the role of protests in politics. Black Lives Matter has also attracted backlash, including from President Trump. In July 2016, on Fox News' the O'Reilly Factor Trump, who was then running for office said, "I've seen them marching down the street, essentially calling death to the police, and I think we're going to have to look into that." In November 2017, Attorney General Jeff Sessions was grilled by black members of Congress on the House Judiciary Committee for an FBI report on "black identity extremists," seen to target Black Lives Matter. Cullors said that their message and their movement was one designed to be active online and to mobilize protests in the streets. The movement's online presence has been critical to its impact and growth over the last five years. A recent report from the Pew Research Center found that #BlackLivesMatter has been tweeted nearly 30 million times since 2013, an average of 17,002 times a day. “That hashtag is recognizable, that hashtag evokes something, I think, in the spirit of all people, not just here in America but around the world,” said Sonia Lewis, the lead of the Sacramento chapter of Black Lives Matter and the cousin of Stephon Clark, who was killed in a police-involved shooting this March. On the street, Black Lives Matter has both sustained protests around police violence and has shaped the principles of more recent protest movements. And the movement's work has reverberated far beyond urban enclaves that have often seen the tension between law enforcement and minority communities play out. 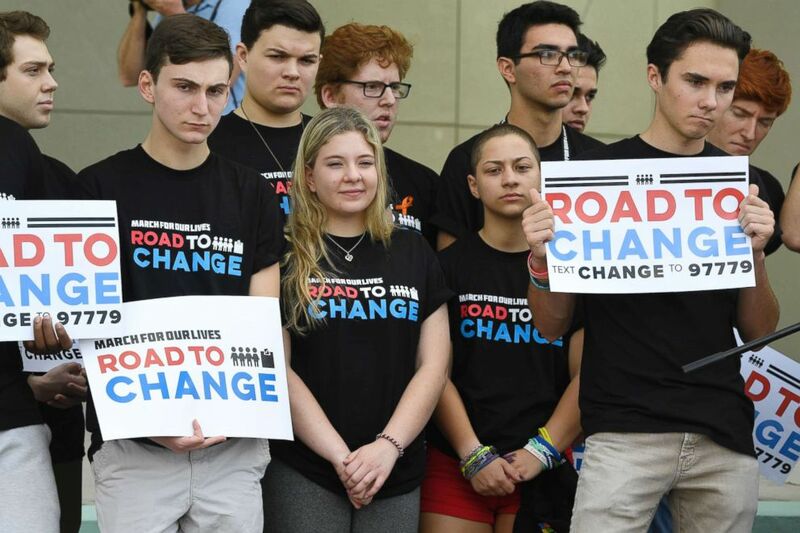 Marjory Stoneman Douglas students hold a press conference on June 4, 2018 at Pine Trails Park in Parkland, Fla. According to Gallup’s most recent Most Important Problem poll, Americans rank immigration and race relations as the third and fourth biggest issues facing the country, a shift from five years ago Woodly says. Black Lives Matter helped popularize some of today’s more liberal policy positions.“The call to abolish ICE is connected to the call to abolish police and prisons,” Woodly said. Adrian Reyna, the director of membership and technology strategies at United We Dream, a youth lead immigrant rights organization, echoed that sentiment. "They have really set the ground to be able to push back against federal agencies like ICE and CBP, who are basically executing the agenda of putting as many people into the deportation pipeline and into detention centers," he said. 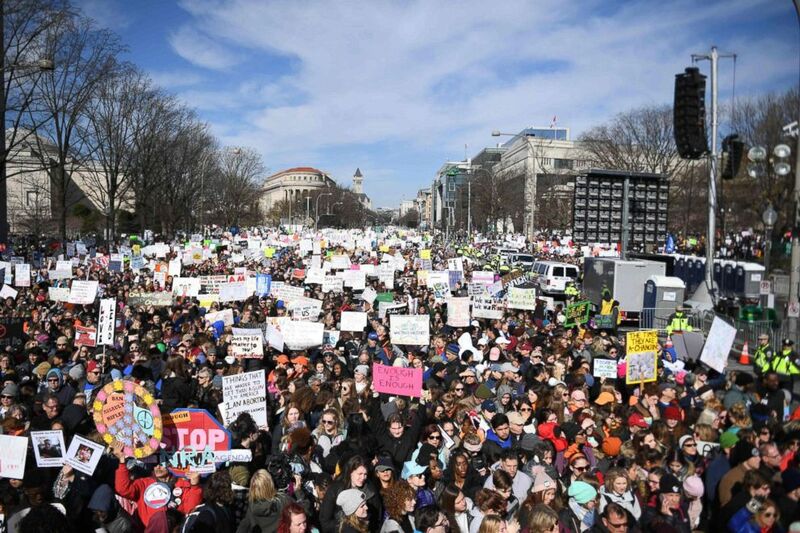 Participants arrive for the March for Our Lives Rally in Washington, DC on March 24, 2018. The Movement for Black Lives platform, released in 2016 by a coalition including 50 activist groups related to Black Lives Matter, calls for single-payer healthcare, the legalization of marijuana, in addition to an end of mass incarceration and police violence towards black people. “There are so many different elected [officials], both black and white, who are challenging the status quo right now,” Cullors said, calling Alexandria Ocasio-Cortez’s recent election “a testament to our movement”.